Foreign – Art for Art's Sake! 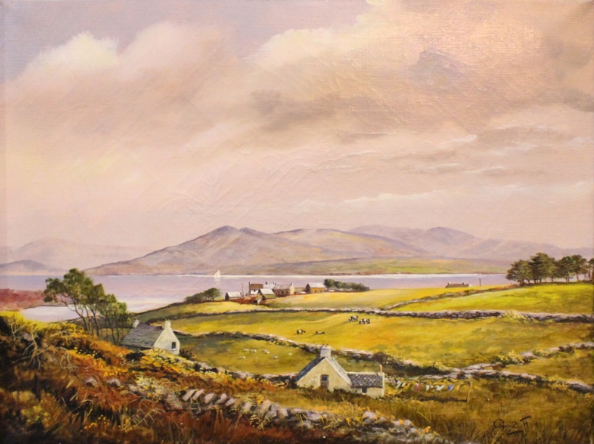 This page is for artists from outside the British Isles who paint, or have painted, Irish subjects or have lived here and been active. Originally from Manila in the Philippines and now living and working in Letterkenny, County Donegal. Swedish born artist living in Ireland since 1994. German artist based in Düsseldorf – a lot more to follow! 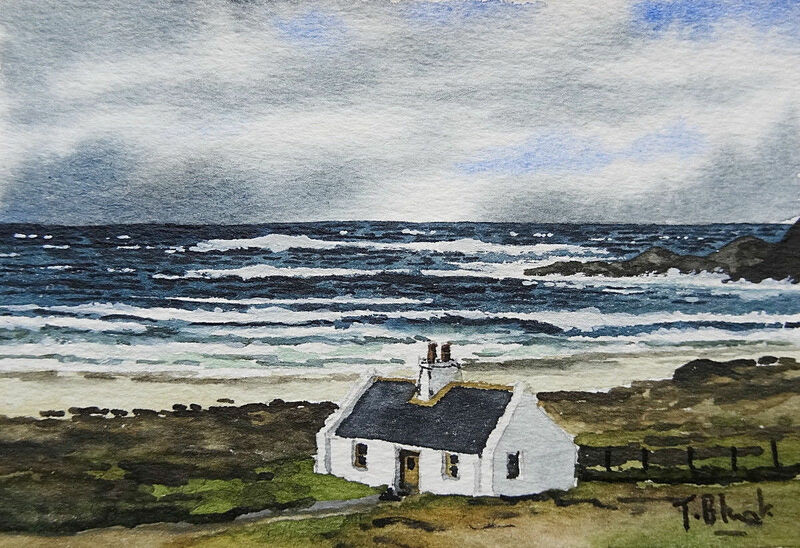 “Cottage by the Sea in Ireland” watercolour. Italian born portrait artist based in Dublin. 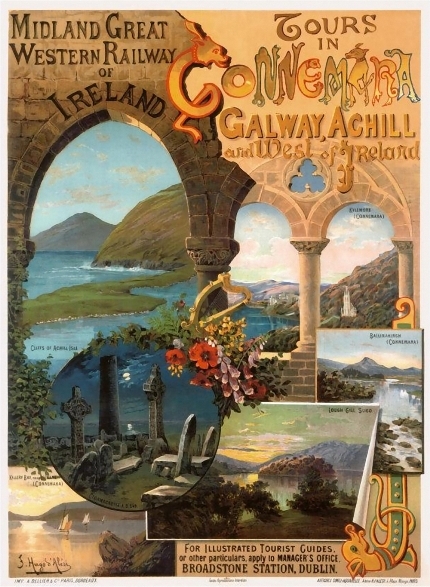 A French artist who produced artwork for several Irish railway companies. 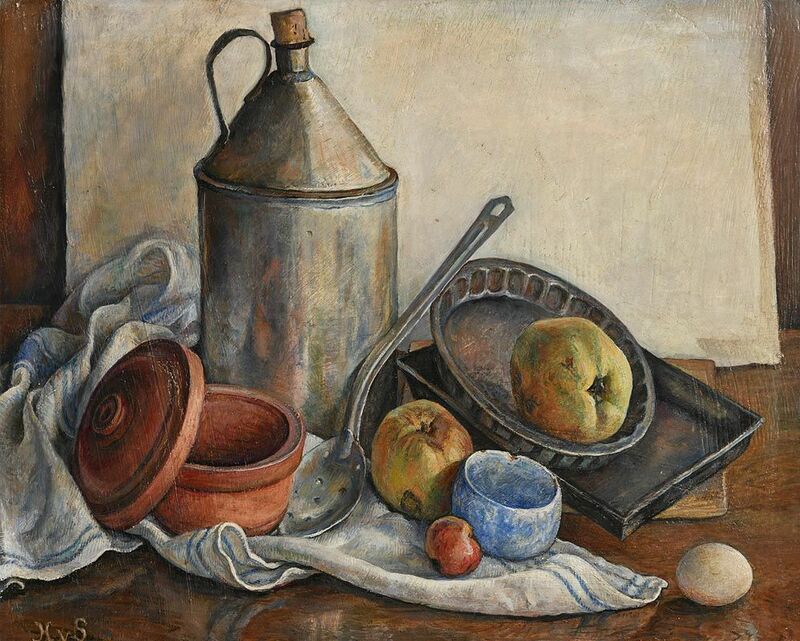 Enkhbold was born in Ulaanbaatar, Mongolia, and now lives and works in Dublin. 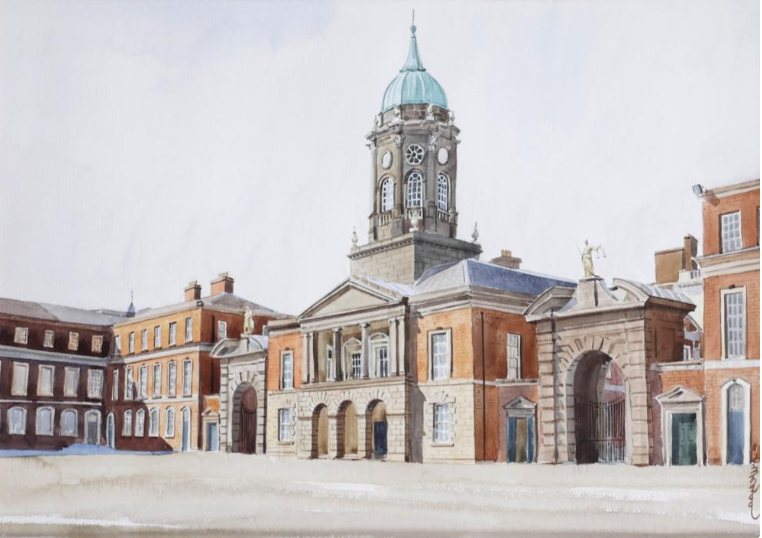 “Dublin Castle” watercolour (12″ x 16″), unsold at Whyte’s – 9/7/2018. 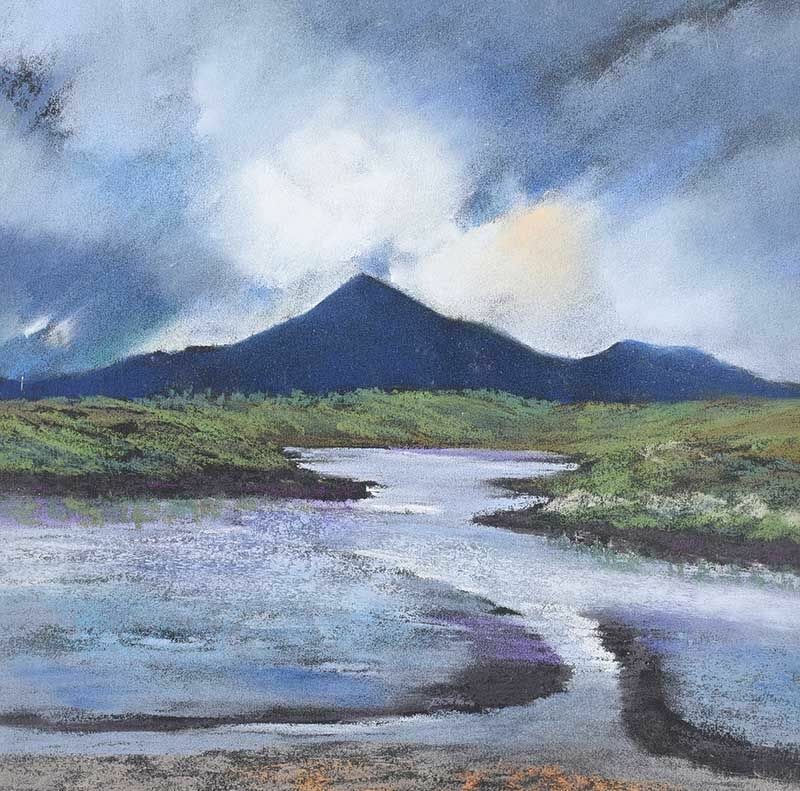 Swedish painter living and working in Co.Galway since 2004. 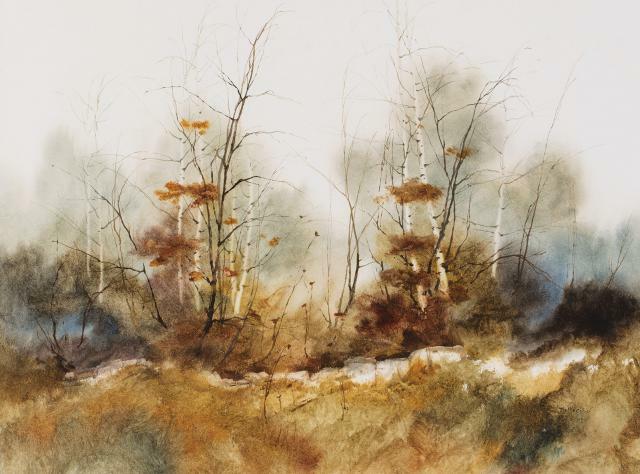 “Winter’s Dream” watercolour (21″ x 28″), sold at Dolan’s – 8/2018 for €400.00. American born artist now living and working in Bray, Co.Wicklow. Reingard Gahan was born in Duisburg, Germany and studied Graphic Art & Illustration at the Dusseldorf College of Art and Design. 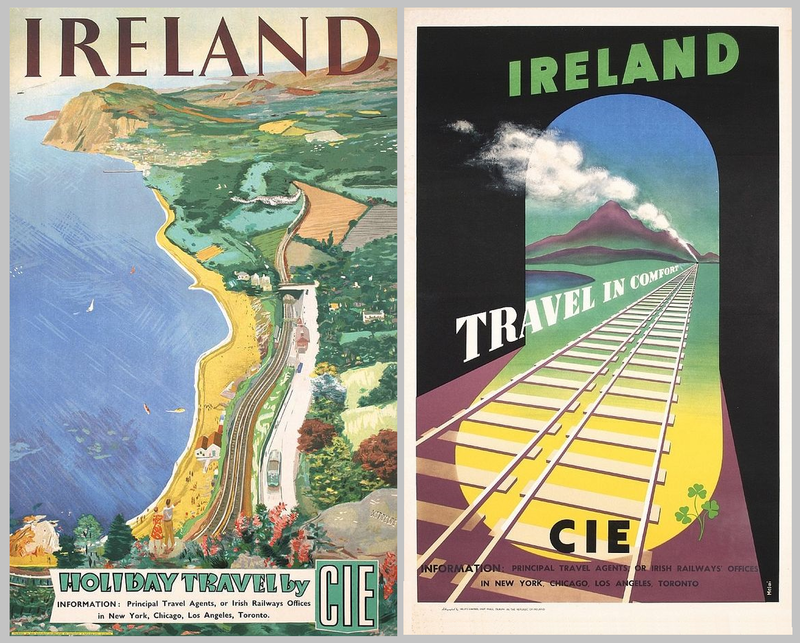 After working in Dublin, London & Belfast she returned to Germany and embarked on a successful career as a freelance illustrator for various international advertising agencies. 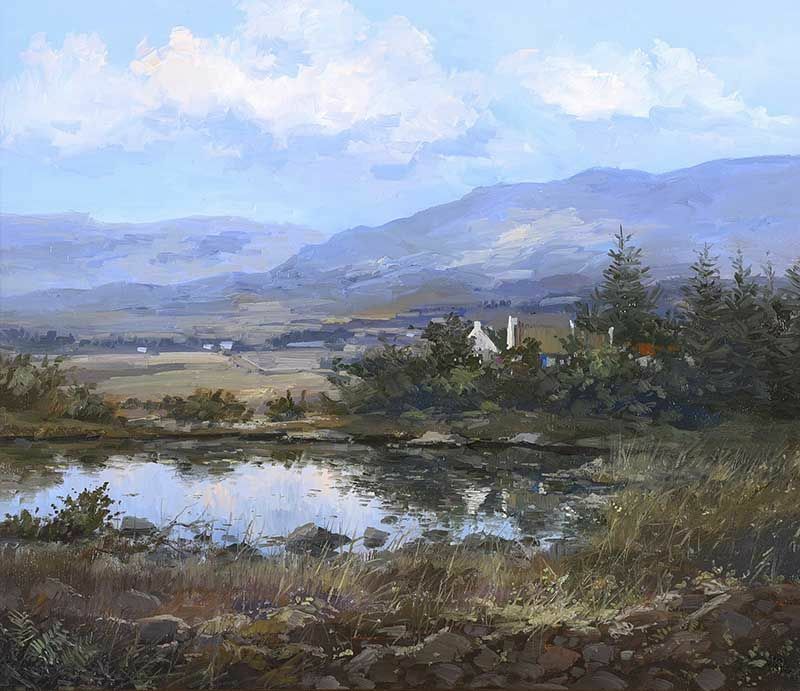 In 2001 she moved from Dusseldorf to Clifden, County Galway, where she now lives and works. 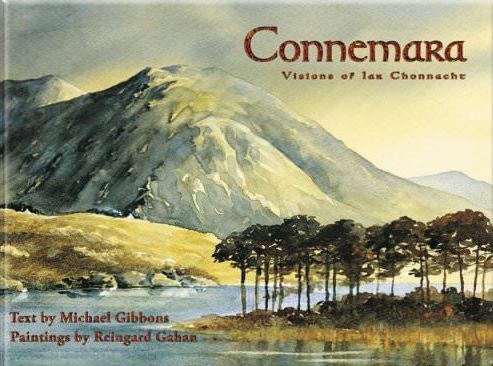 2004 saw the publication “Connemara – Visions of Iar Connacht (by Michael Gibbons) which featured 30 of her watercolours. She has exhibited in Ireland and Germany and her paintings can be found in private collections in Canada, USA, Australia, Ireland, UK, France & Germany. “Boglands” pastel on paper (12.5″ x 12.5″), unsold at Ross’s – 11/10/2017. 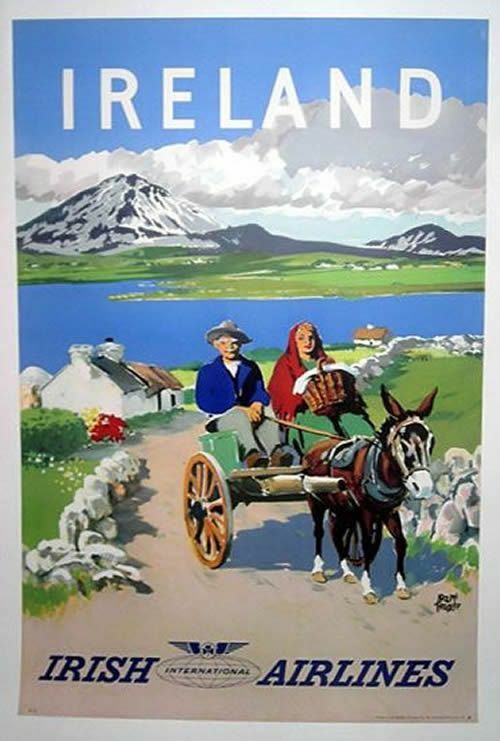 Fred Gruizinga worked as the head of a design studio for illuminated signs with a leading technical advertising agency in Holland before moving to Ireland in 1977. 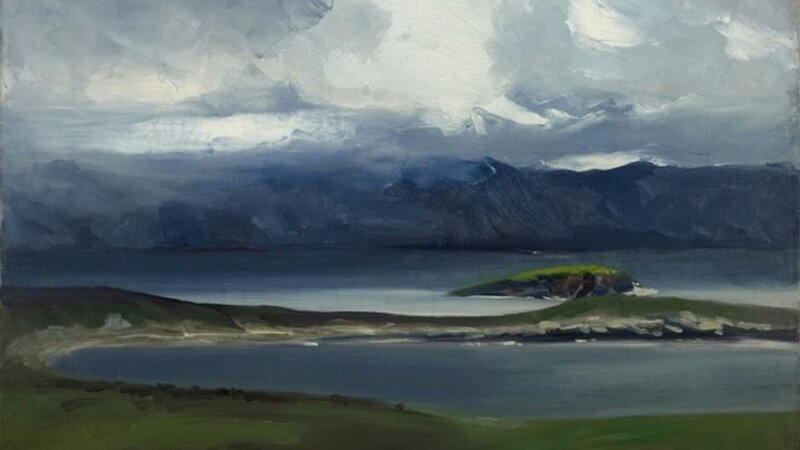 “Dunmanus Bay, West Cork” oil on canvas (12″ x 16″), sold at Hegarty’s, Bandon – 27/2/2019 for €120.00. 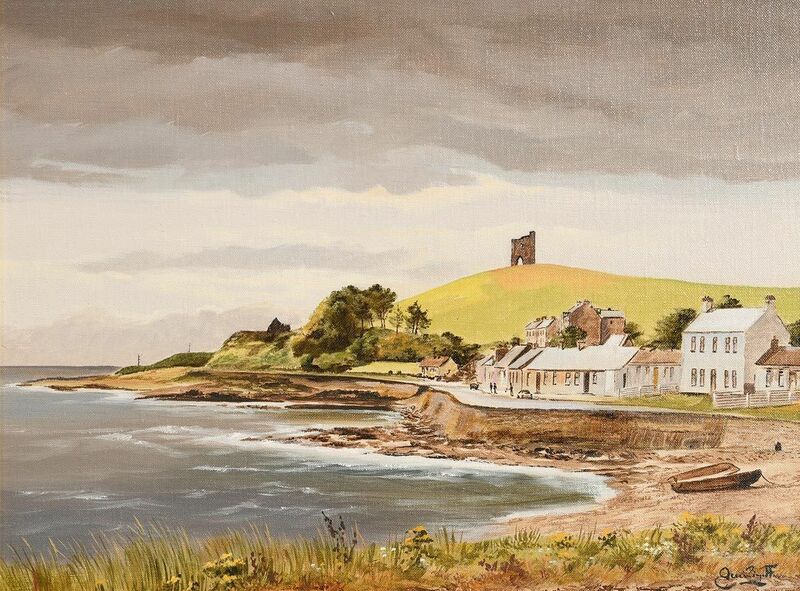 “Ardglass, Co.Down” oil on canvas board (17.5″ x 21.5″), sold at Morgan O’Driscoll’s – 19/3/2019 for €100.00. 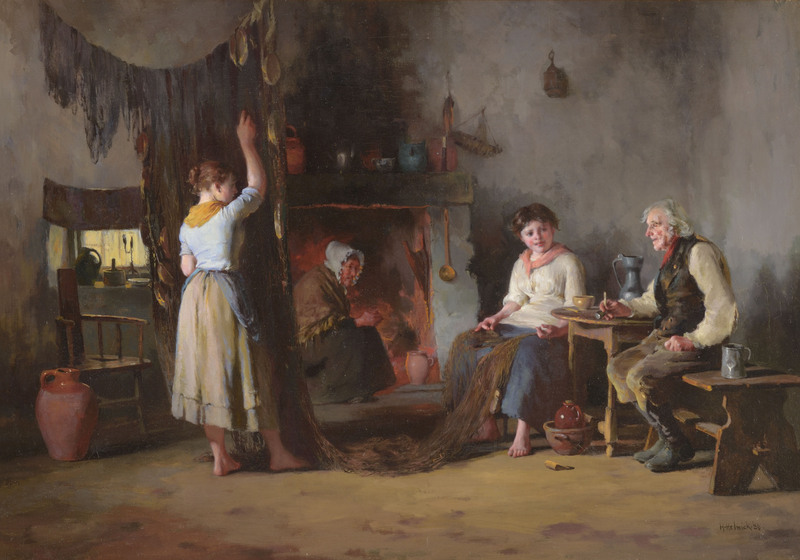 “Mending the Nets” – 1886 – oil on canvas (21″ x 30″). In the collection of Ireland’s Great Hunger Museum, Hamden, Connecticut, USA. 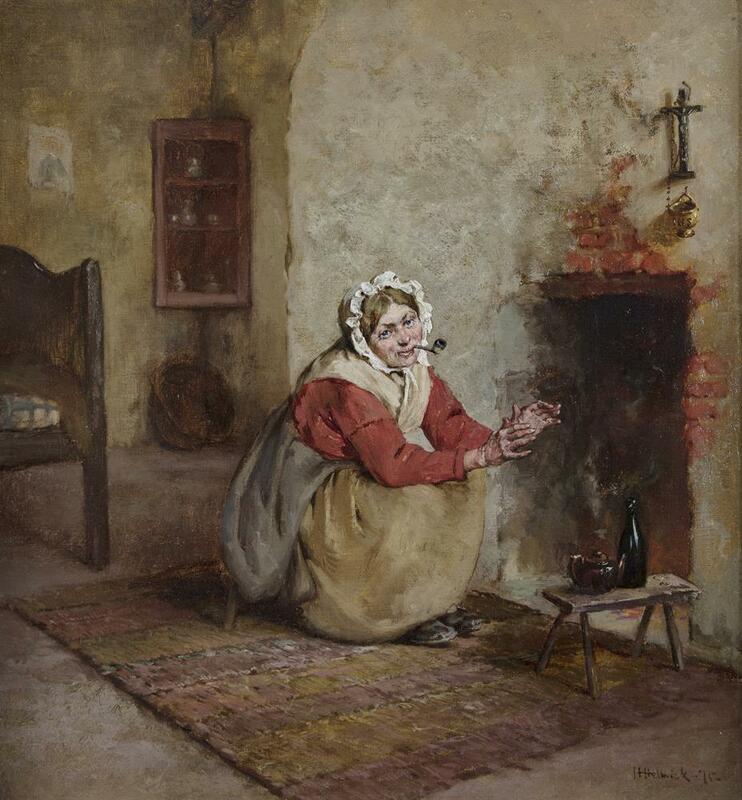 “Woman by the Hearth” dated 1875, oil on canvas (19″ x 17″), unsold at Adam’s – 22/11/2017. American artist who fell in love with the West of Ireland and its people in the early part of the 20th century. More to follow shortly. 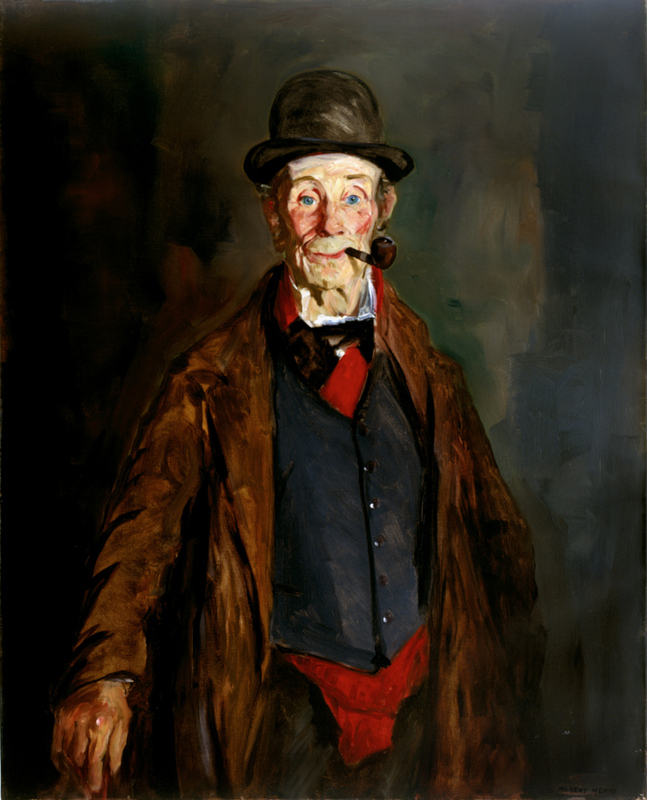 “My Friend Brien” 1913, oil on canvas. Gift of Mr. and Mrs. John L. Crist, Jr. in memory of John L. Crist, Sr. 1966.14. Collection of The Mint Museum, Charlotte, North Carolina. 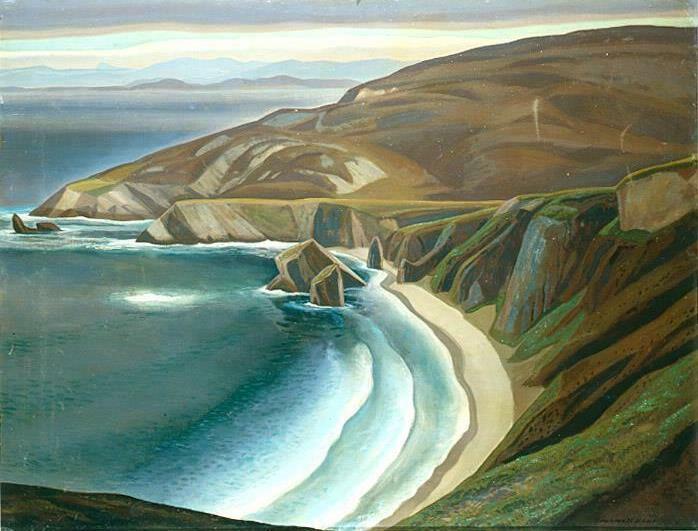 “West Coast of Ireland” dated 1913, oil on canvas (26″ x 32″), in the collection of Everson Museum of Art, Syracuse, New York. 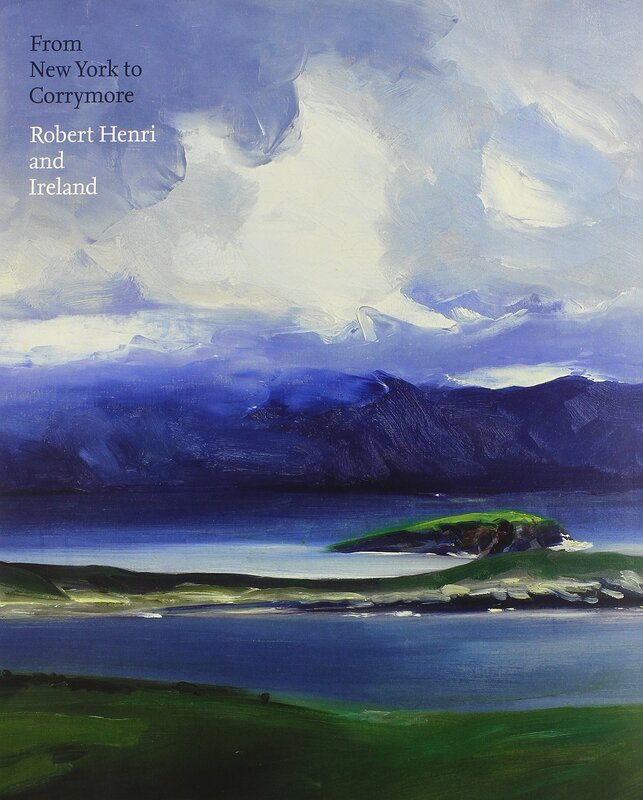 “From New York to Corrymore: Robert Henri and Ireland” by Jonathan Stuhlman. Paperback, 152 pages – published by Mint Museum of Art, Charlotte, North Carolina (2011). Margherita Joy is the pseudonym used by Dublin based Italian artist Margherita La Gioia. “Pilgrimage to Glendalough” acrylic on canvas (24″ x 26″), sold at Morgan O’Driscoll’s – 13/3/2017 for €360.00. A prolific and influential American-born graphic designer. Two of his posters dating from 1949 and 1953 respectively. 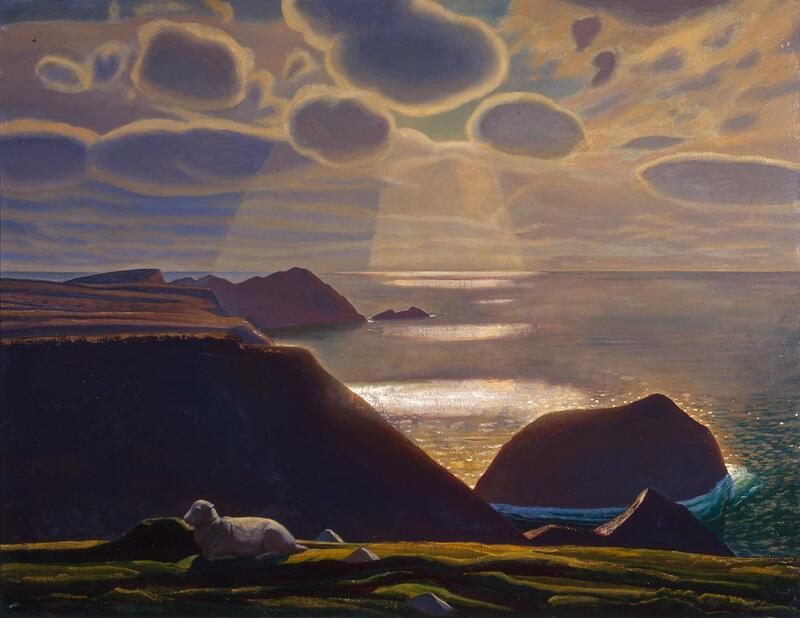 Rockwell Kent was born in Tarrytown, New York. In 1926 he spent a year living in a one-room cottage belonging to Dan and Rose Ward in Gleann Locha, a remote townland which cannot be reached by road. The valley of Gleann Locha/Glenlough divides the parishes of Ardara and Glencolmcille in South West Donegal and entering it involves a 90-minute trek from the nearest road. 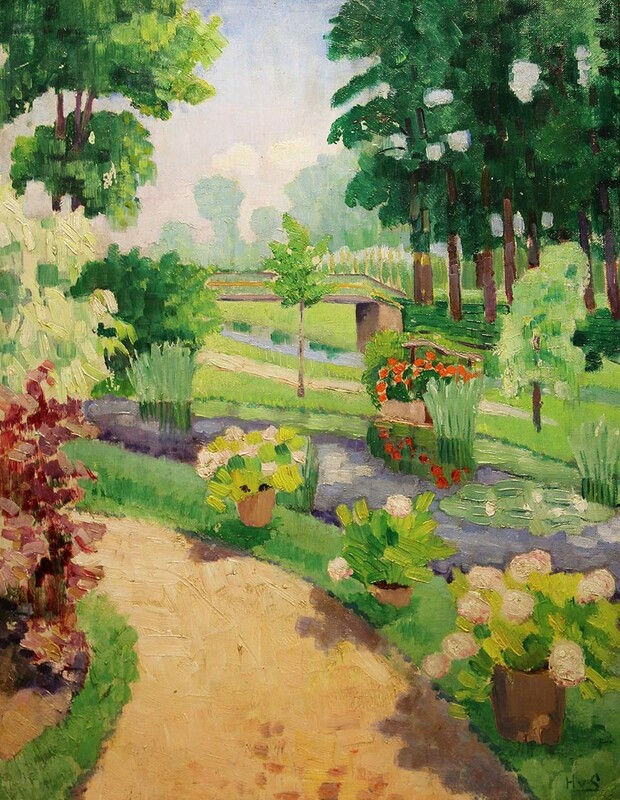 Here the artist produced a number of notable works. 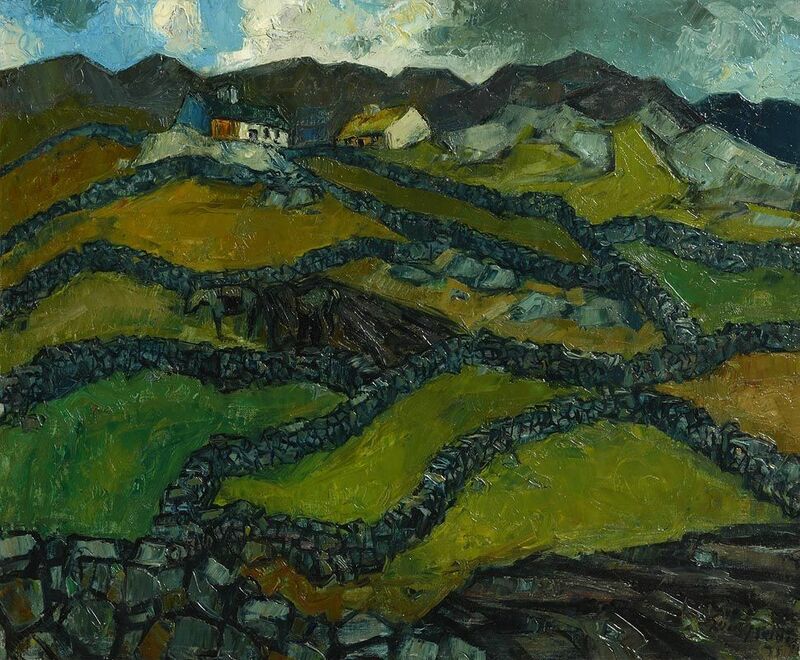 “Sturral, Co.Donegal” 1926/27 , oil on canvas (34″ x 44″) in the collection of the State Hermitage Museum, St.Petersburg, Russia. 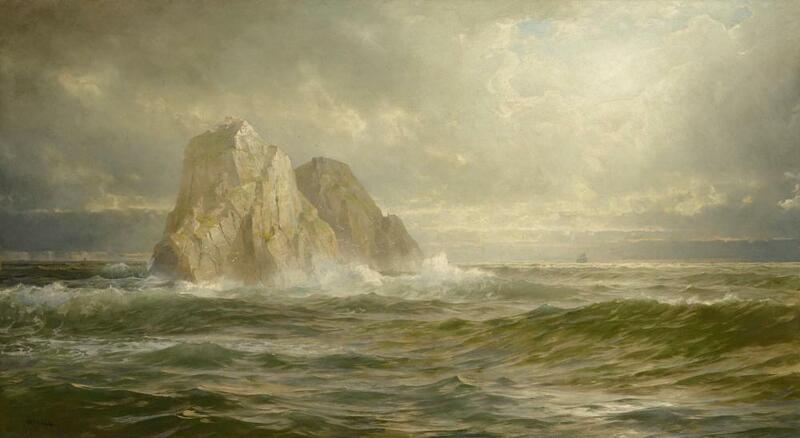 “Irish Coast, Donegal” oil on canvas – in the collection of The Pushkin State Museum of Fine Arts, Russia. “Co.Sligo” oil on board (8″ x 10″), sold at Morgan O’Driscoll’s – 25/9/2017 for €50.00. Polish born artist now living and working in County Wexford. 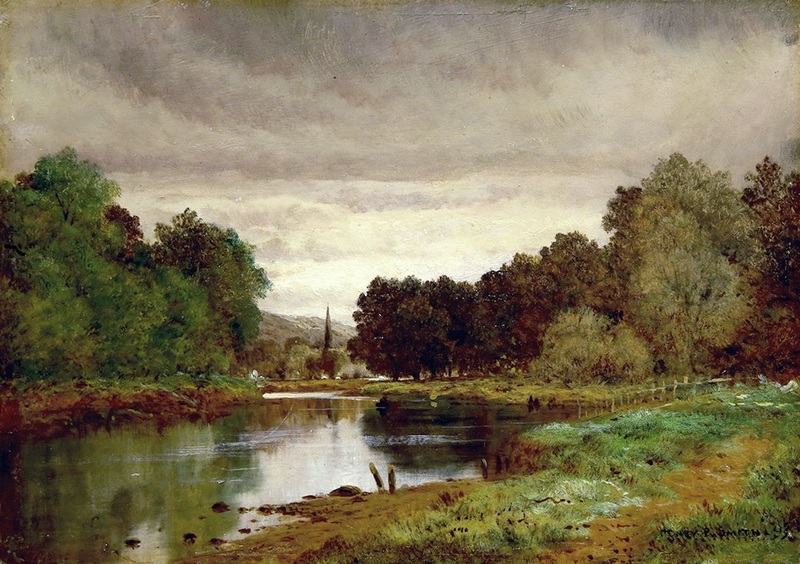 Born at Biesdorf, near Berlin, Max Krause emigrated to England with his parents and ended up living in Lancashire. 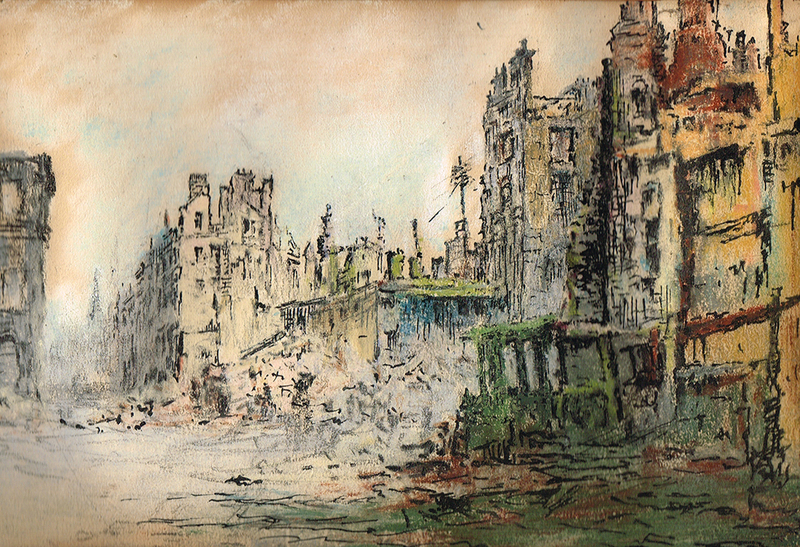 He was a highly regarded artist and painted many scenes throughout the British Isles including Ireland and the Isle of Man. Like many of his compatriots at that time, Max Krause changed his name to avoid anti-German sentiment and became Max Henry Crouse. 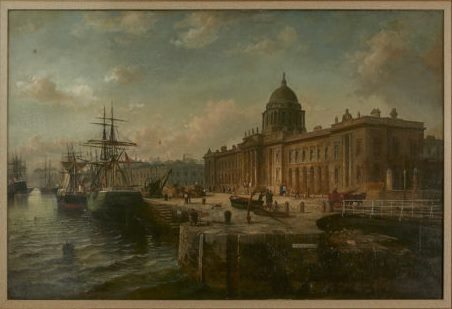 “Custom House, Dublin” dating from c.1884, oil on canvas (47″ x 67.5″), sold at Outhwaite & Litherland Auctioneers, Southport, in 2003 for £30,000. 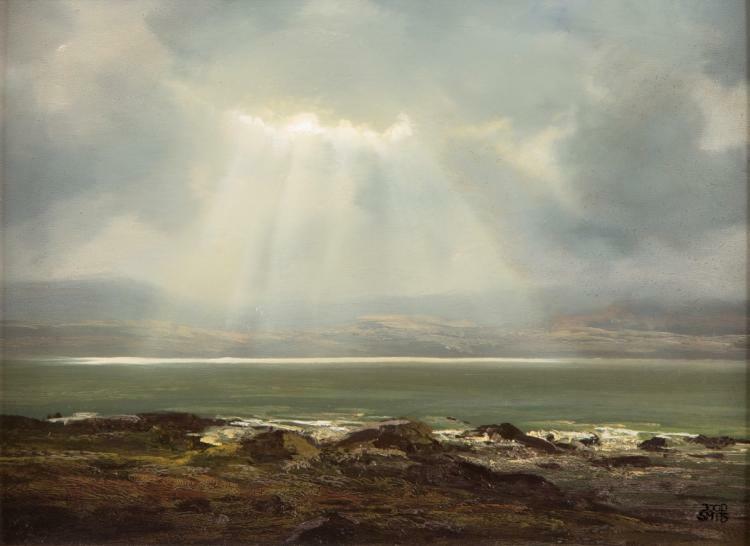 The dimensions shown above may be incorrect as there’s a lot of confusion surrounding this painting. 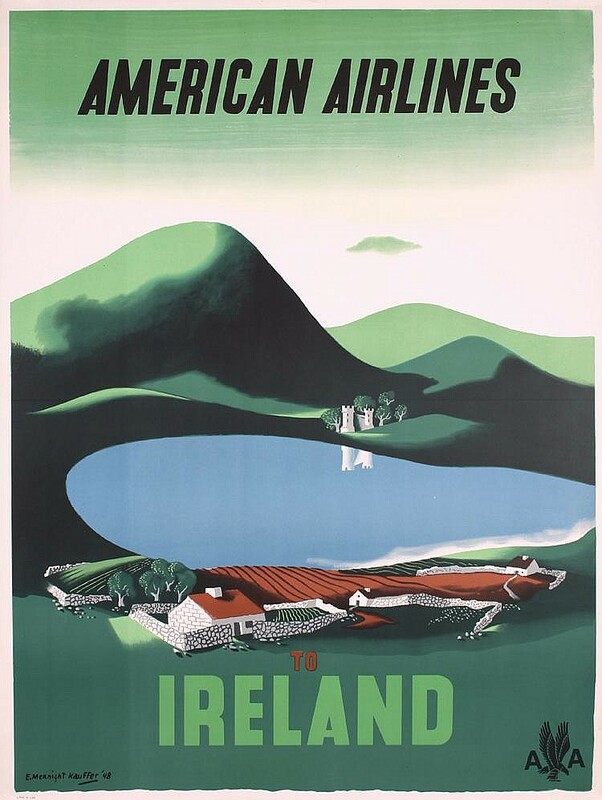 Dutch graphic designer who came to Ireland to work on the Aer Lingus account for the Sun Advertising Agency in Dublin. His bold new designs did not please the Arts Council and they complained to Aer Lingus. 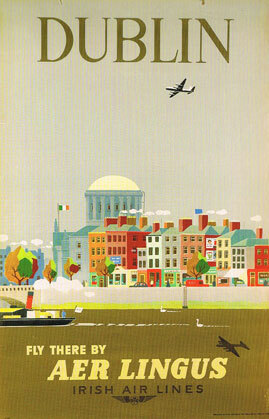 Above: New look Aer Lingus poster from 1956. Other companies including CIE, the State Transport Company, were quick to enlist the services of Guus Melai. 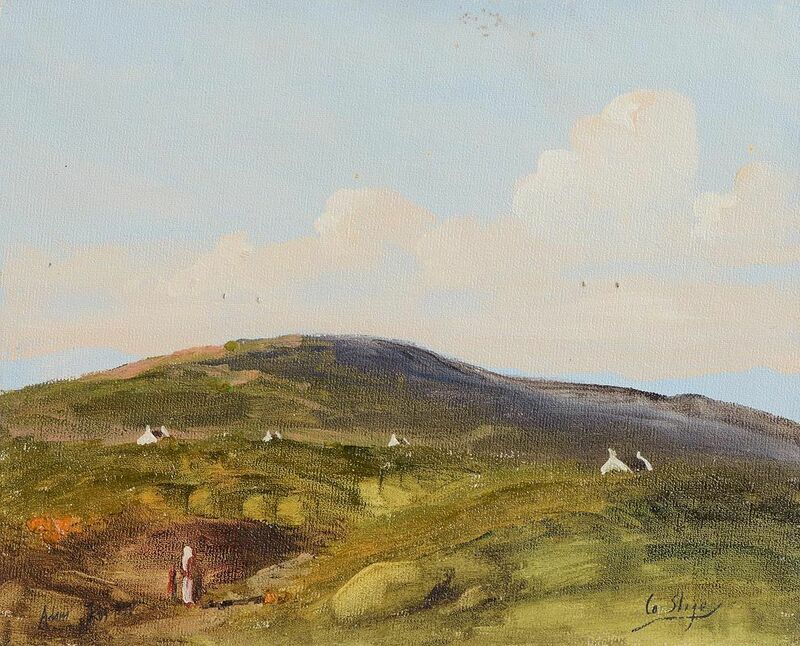 “Farmsteads, West of Ireland” dated 1955, oil on board (19″ x 23″), sold at Morgan O’Driscoll’s – 23/10/2017 for €1,200. 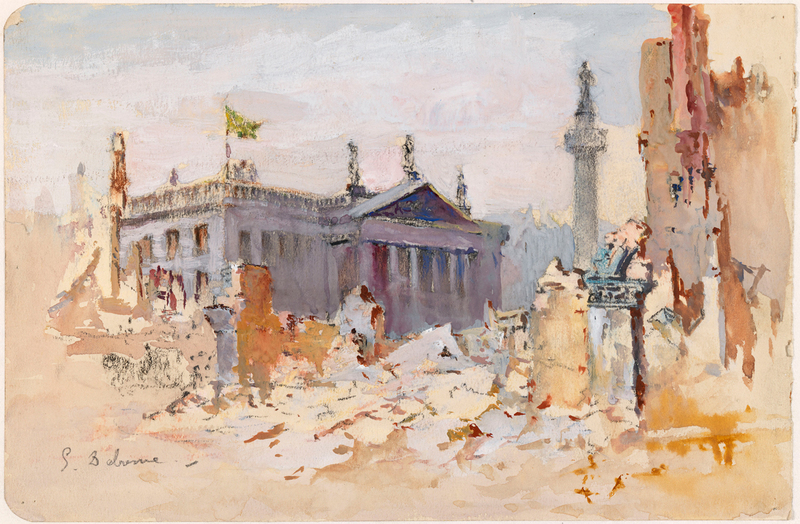 An American born artist of German extraction who moved to Ireland in 1969. 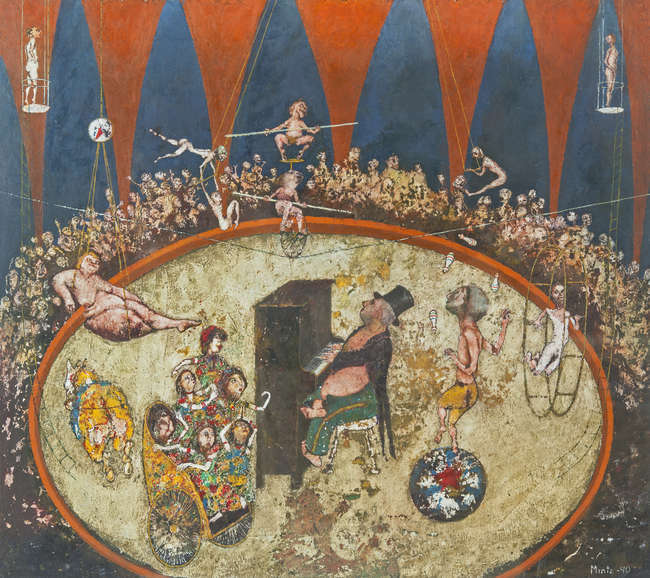 “Circus Scene” dated 1990, oil on board (17″ x 19.5″), sold at Adam’s – 12/6/2016 for €950.00. 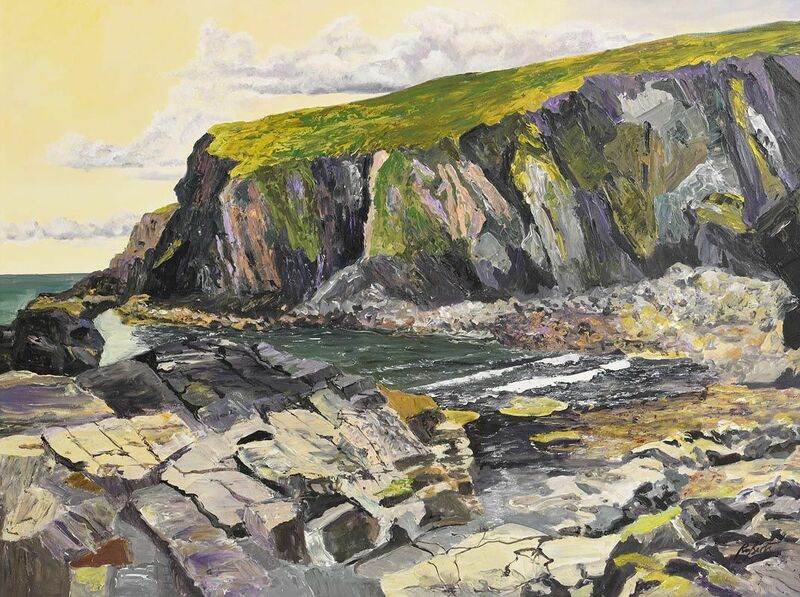 “The Skelligs, Coast of Ireland” oil on canvas (40″ x 72″), sold at Sotheby’s (New York) – 2/10/2018 for $50,000. 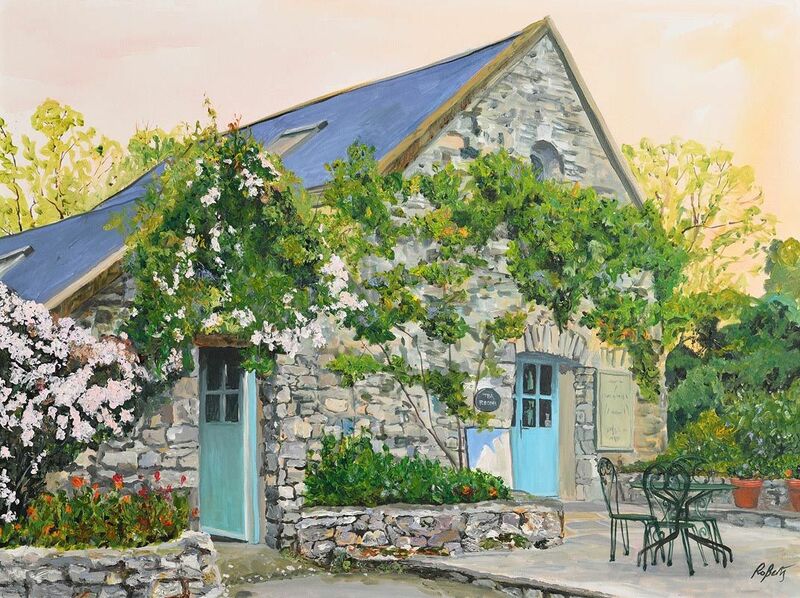 “The Burren’s Perfumery” acrylic on canvas (30″ x 40″), sold at Morgan O’Driscoll’s – 28/5/2018 for €440.00. An Italian iconographer living in Ireland since 2003 specialising in sacred drawings. 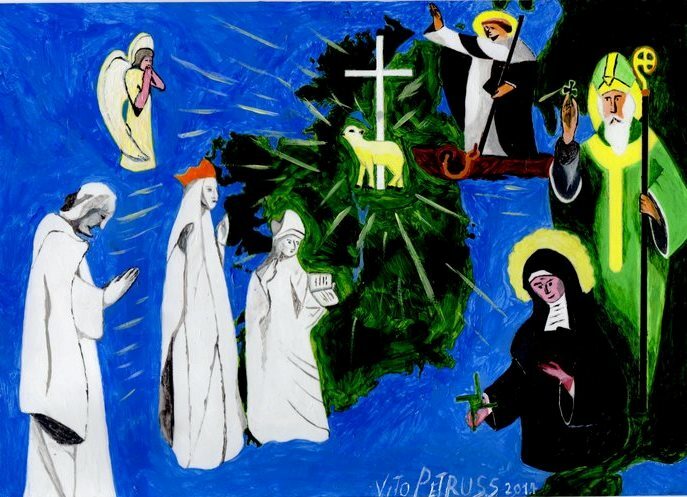 Above: Irish Sacred Painting with the three patron Saints of Ireland: St Columba (Colm Cille), St. Patrick and St. Brigid. Also the main characters of Knock apparition, and the Guardian Angel of Ireland. Acrylic on a A4 paper. 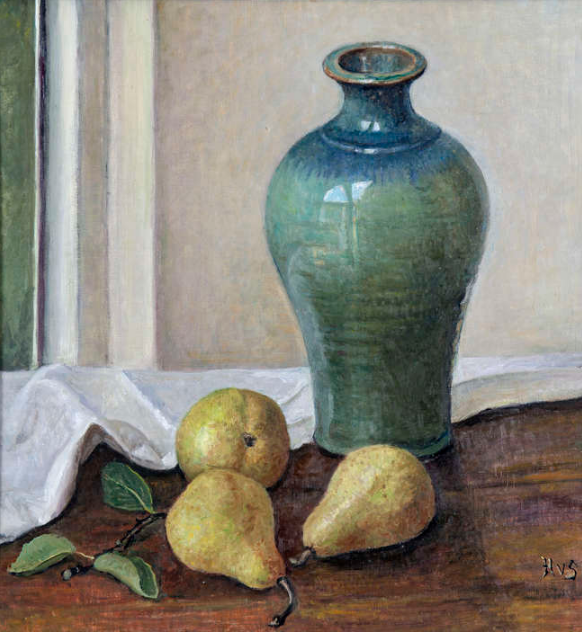 An American painter, best known for his depictions of country cottages and river scenes around Lyme and East Lyme, Connecticut, and paintings of the sea and shore in New Jersey, Rhode Island, and Cape Ann to Maine. “River Lee nr. Cork” oil on board (7″ x 10″) – offered for sale on eBay during 2018. Born in Eindhoven, Holland and graduated from the Eindhoven Academy in 1961. 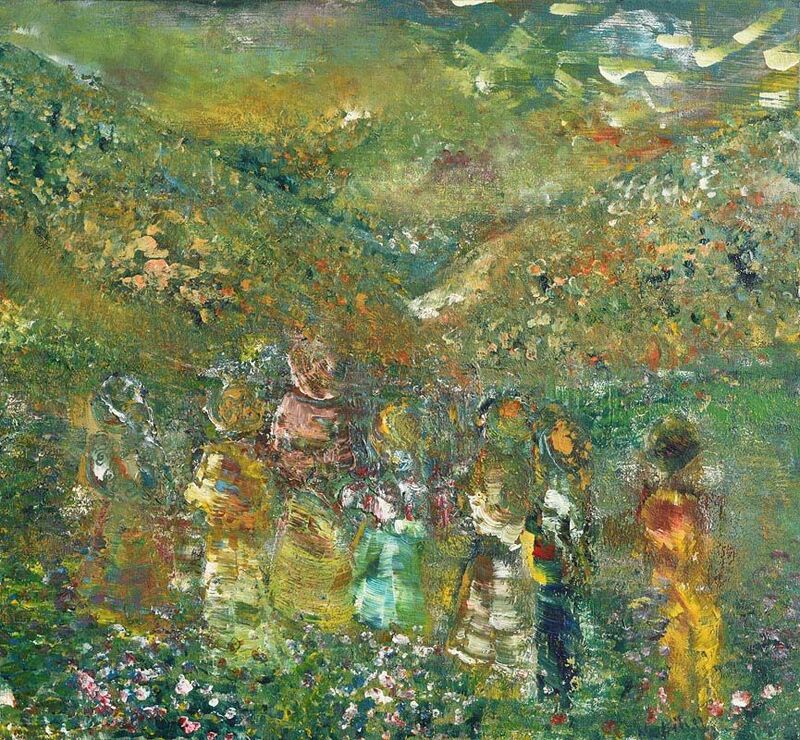 In 1992 he moved to Ireland where he built a studio in County Kerry and completed many works inspired by the Irish landscape. In 2008 he relocated to Mallorca. 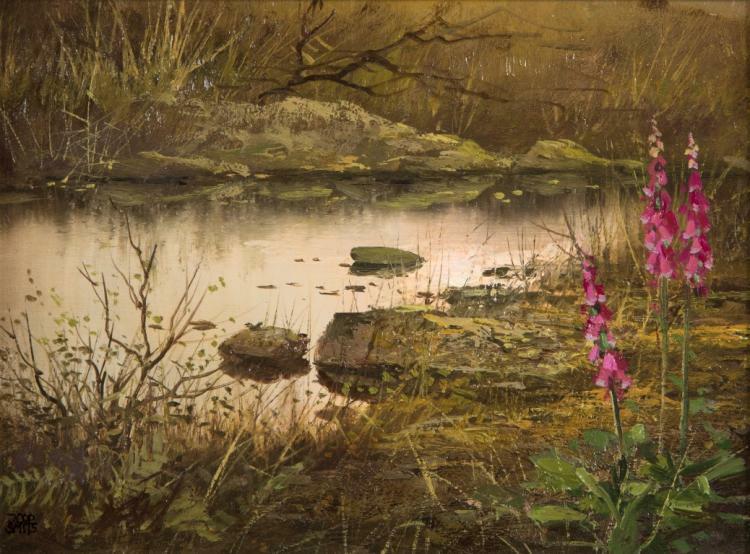 “Foxgloves by a River” oil on panel (6.5″ x 9″), sold at Mealy’s – 7/12/2016 for €400.00. “Kenmare Bay Light” oil on panel (7″ x 9.5″), sold at Mealy’s – 7/12/2016 for €450.00. “Irish Cottage in an Irish Landscape” oil on board (24″ x 28″), sold at Ross’s – 25/4/2018 for £500.00. I can’t pin this artist down – any help would be welcome. 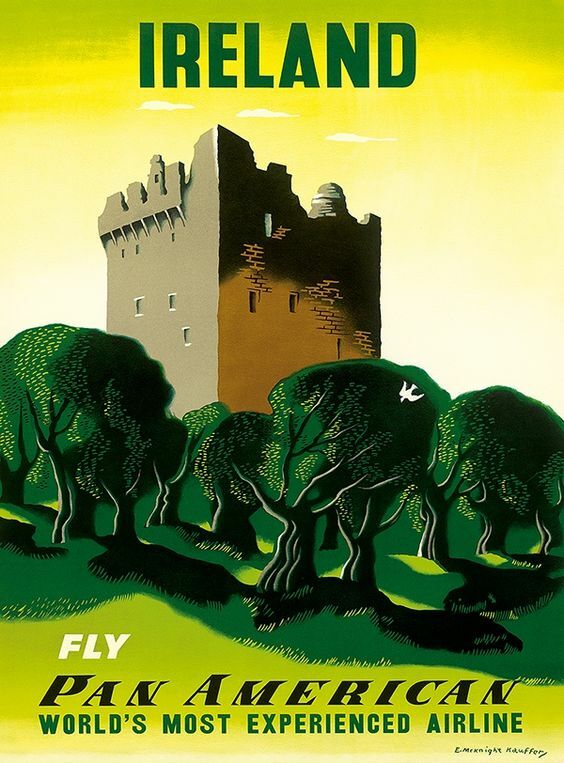 An American born artist who was one of the most influential illustrators and poster designers of the twentieth century. Dutch born artist Marja van Kampen is a full-time painter and printmaker, receiving her degrees for Painting, Printmaking and Art History from the Akademie voor Beeldende Kunsten in Arnhem, The Netherlands, in 1972. She now lives and works in Enniscorthy, County Wexford. 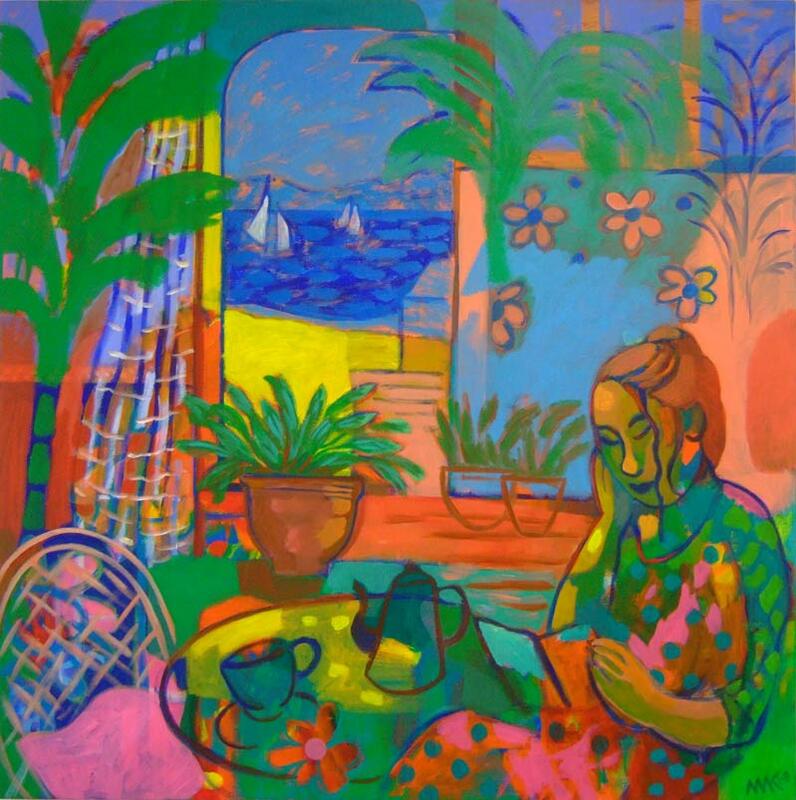 “Tea in the Summerhouse” 2008, acrylic on canvas (39” x 39”) – Institute of Technology Collection, Tralee, Co.Kerry. 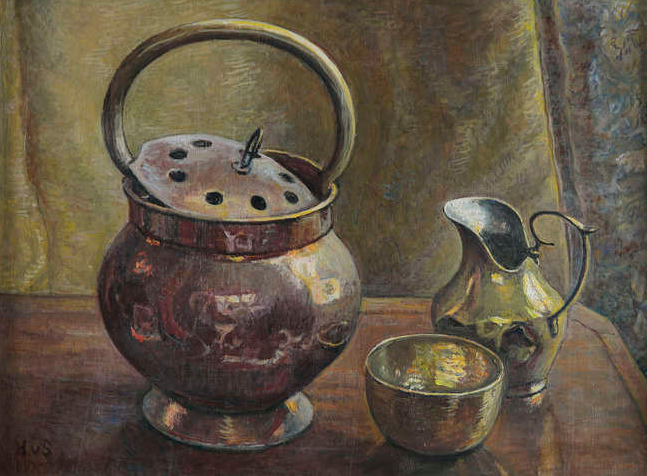 Left to right: “Still Life with Pottery & Pears” oil on canvas (16″ x 15″), sold at Adam’s 28/9/2016 for €1,000; “Paris Garden” oil on canvas (24″ x 18″); “Copper Pot, Brass Pitcher and Bowl” oil on board (13.5″ x 18″), unsold at James Adams – 30/5/2018 and “Still Life with Apples and Tin Can” oil on board (16″ x 20″), sold at Morgan O’Driscoll’s – 25/6/2018 for €1,300. American born equestrian artist and illustrator. 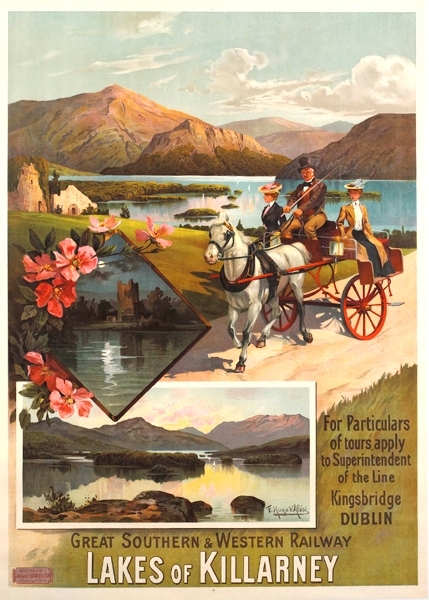 She supplied artwork to Scholastic Productions (Belfast) for their art postcards, but is probably best known in Ireland for her iconic RDS Horse Show posters.